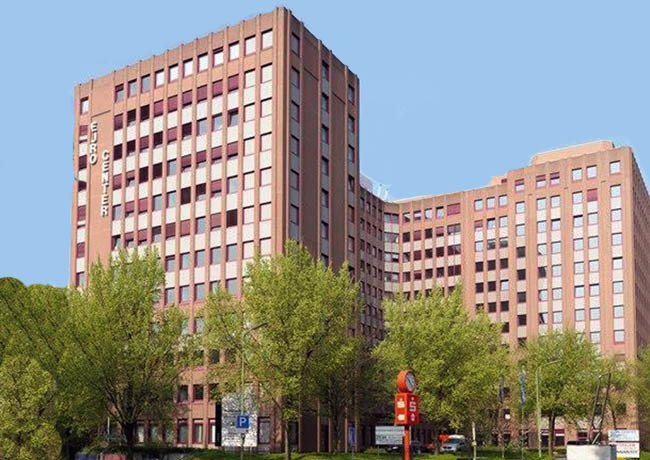 The EPISO 4 opportunity fund, advised by Tristan Capital Partners and FREO Group, have acquired a 23,853 sqm mixed use office and hotel conversion project in the western Dusseldorf district of Seestern for a total cost of €70 million in an off-market transaction. The asset is comprised of two existing buildings, previously known as Eurocenter I (EC I) and Eurocenter II (EC II), which have historically served as office space for Deutsche Telekom and other tenants. During the past 12 months, the vendor has initiated a conversion of EC II into a 300-room hotel and agreed a 20-year lease with operator H2 hotels. EC I is also due to be renovated and once completed will offer 12,670 sqm of modern office space. The Seestern district is located on the left-bank of the Rhine River, to the northwest of Dusseldorf’s city centre. Office rents in the district have been rising since 2015 in tandem with a fall in the vacancy rate to 10.4% from 27% over the same four-year period. The asset purchased by the joint venture is located on one of the most prominent intersections in Seestern and offers both excellent visibility and accessibility to both public transportation and cars. Dusseldorf is the seventh largest city in Germany with a population of around 630,000, projected to grow to 660,000 by 2025. The Greater Dusseldorf area boasts approximately 2.5 million inhabitants and the city is centrally located within the western Rhine-Ruhr metropolitan region, one of the most important and fastest growing economic hubs in the country. Tristan Capital and FREO Group were advised by Kappellmann Rechtsanwaelte, PWC and HP Developments with Savills acting as the transaction broker.